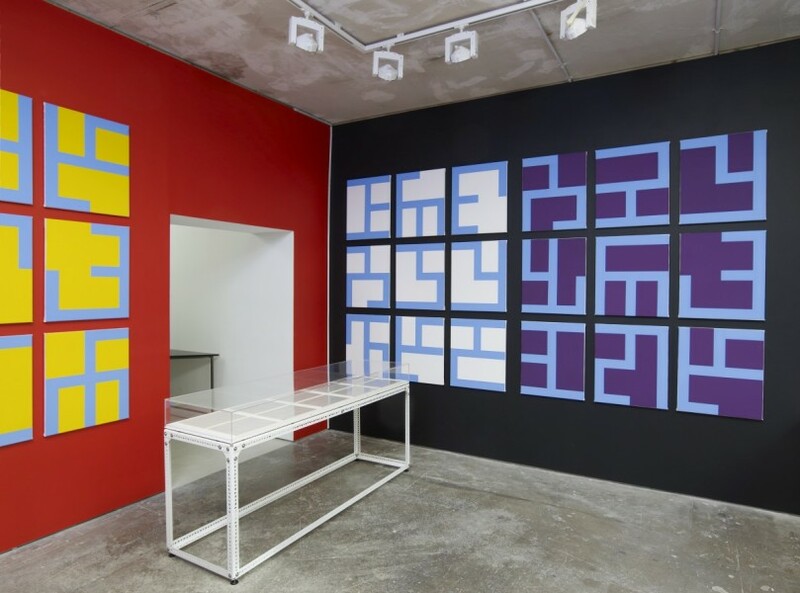 Philippe Van Snick, Eviter Le Pire, installation view at Arcade, London, 2014. Courtesy the artist and Arcade, © the artist. For the next three weeks, as the nights draw in and the colour seems to drain out of the natural world with the falling of the leaves, should you wander down Lever Street in the late afternoon you will not fail to notice the diminutive Arcade. Its wide shop windows reveal an interior transformed by a brilliantly coloured installation that radiates energy on to the street, in defiance of the creeping grey of a London autumn. This is a new installation of work by Philippe Van Snick, an artist routinely described as a master of conceptual art, but one little known outside his native Belgium. 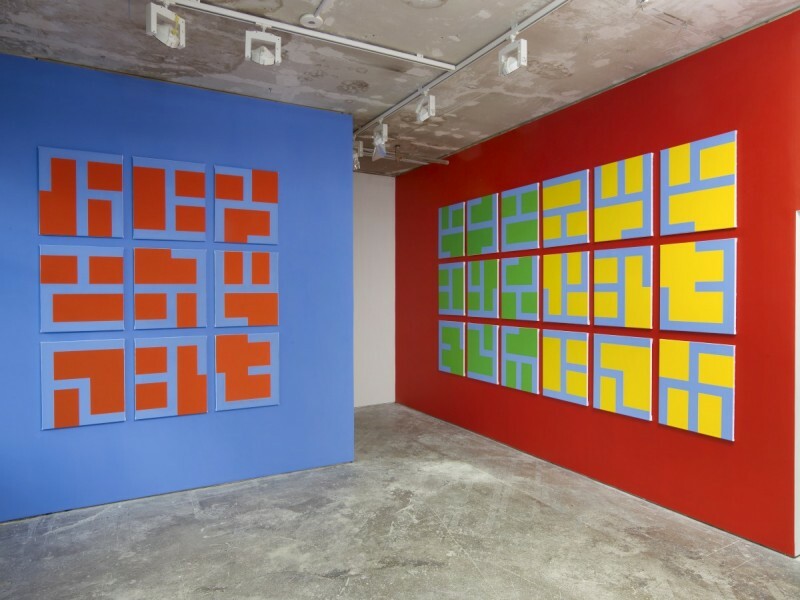 It appears that America is now waking up to the importance of this artist, whose career began back in the late 60s and who was showing with Richard Tuttle and Raoul de Keyser in the late 70s – we here in the UK have a little catching up to do, it seems. 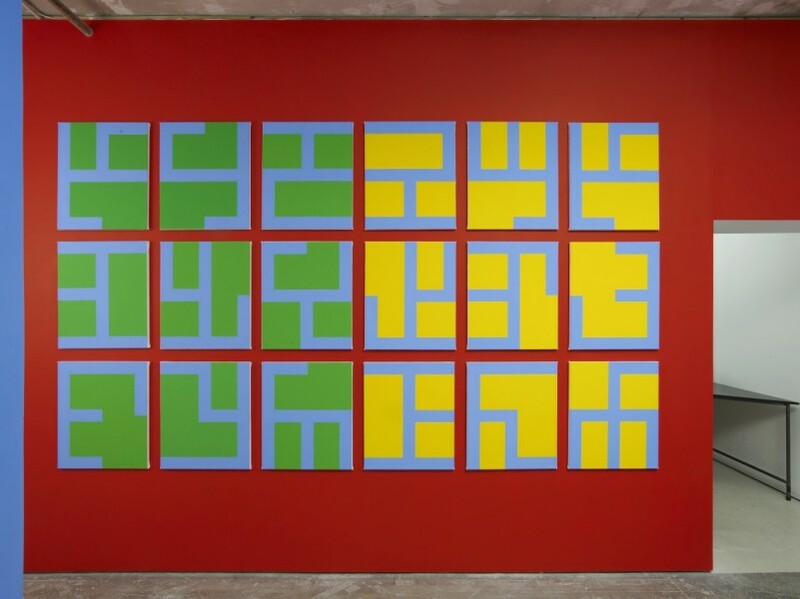 Van Snick evolved a strict set of parameters for his painting as early as the late 70’s and has used this as a framework within which to explore the possibilities of painting ever since. He employs a deliberately limited palette of ten colours. For Van Snick, ‘the number 10 is my work’s internal motor’, and it is notated as the sequence of ten individual units (0-9). Within this highly systematised numerical strategy he creates works that bear a superficial resemblance to hard-edged geometric abstraction. However, one should not leap to the conclusion that Van Snick’s work exists, or is born out of purely abstract concerns. On the contrary, the work is tightly connected to the real world and observed experience. 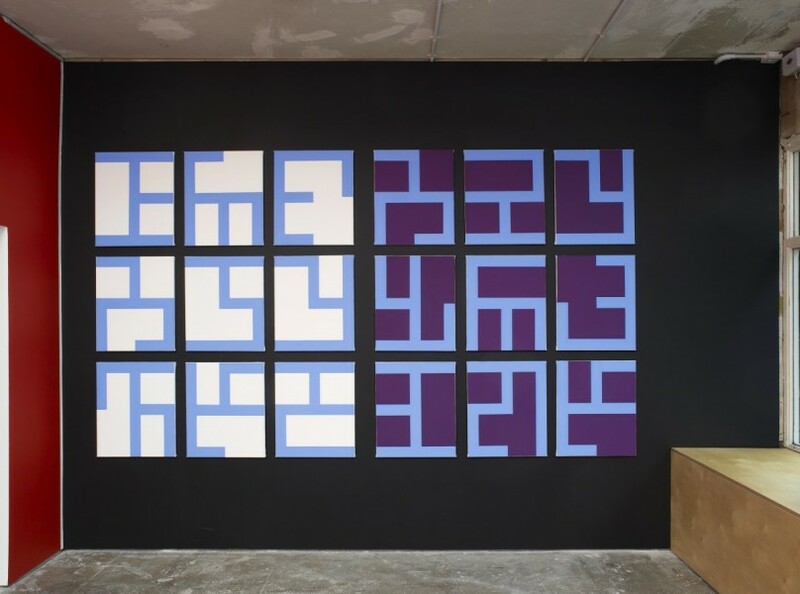 In the past he has used the configurations of birds in flight to find the number 10, and his use of sky blue and black relates to the basic polarity of day and night. These are “found” elements in the most fundamental sense of conceptual practice, but the work consistently leads the viewer to a heightened awareness of their own perceptions, of the relations of one colour to another, and their relative affective power. It is commonplace to talk about abstract work as coolly elegant, but this is work that has to be described as warmly elegant for its essential humanity and joy in the world. Highly recommended viewing.